Technology’s ubiquitous disruption of industries has many traditional businesses on edge. Change is inevitable, and where one business declines, another rises. In the case of freight forwarders, technological developments provide efficiencies that drive profits higher, making them a beneficiary of technological disruption. Freight forwarder software allows freight forwarders to create extensive transportation management systems (TMS) with real-time performance evaluations and data aggregation that offers powerful business insights. The advancements in freight forwarder logistics software keeps freight moving fast and profits coming in at record levels. Through transportation management software, package tracking and visibility are now available on any type of device, from laptops to smartphones. The days of being trapped at a desk while monitoring freight movements have passed. Freight forwarder software solutions make it easy to view the entire transportation network anytime 24/7/365. In a business that never sleeps, this capacity provides enhanced customer service levels and provides freight forwarders with the opportunity to expedite shipments and correct errors on the fly. In addition to creating a nimble workflow, freight forwarder software allows for faster, smarter shipping. Freight forwarder companies are using software to better manage their negotiated shipping rates. Cloud-based platforms display all the features of orders, including rates and shipment management information. Many utilize API, integrations and web interfaces. In addition, integrating these cloud-based platforms with enterprise systems is not only seamless but also highly effective at increasing ROI. Advanced freight forwarder tracking software provides a concentric view of all shipments from multiple carriers. Freight forwarders can actively manage information received from carriers, systems, personnel and even the National Weather Service. Transportation managers are highly effective when they can see shipments from all carriers in motion on one interface. Managers use advanced freight forwarder software solutions to track truck shipments, including LTL, in real time. 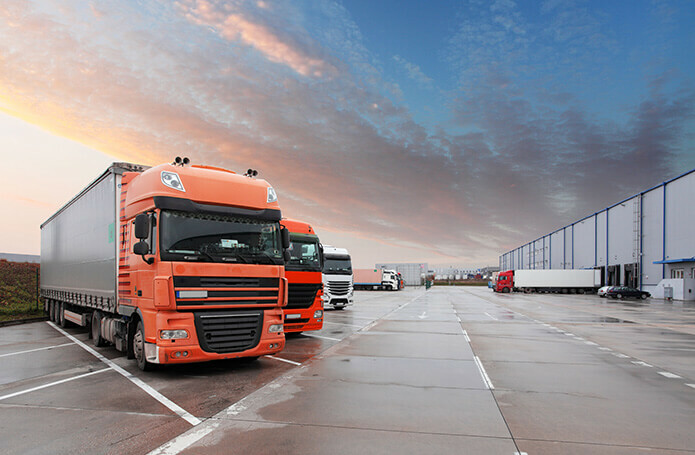 If a truck becomes delayed because of bad weather or a mechanical problem, the freight forwarder knows about it right away and can take action to mitigate the situation. The software automatically indicates when a shipment goes off track. Transportation managers can also see the real time status of rail, ship and air freight. Freight forwarders utilize the software to verify shipments have been transferred to the appropriate location and picked up on time. This total in-transit visibility shows scanning and segment entry, package tracking and even product information. Freight forwarder logistics software also provides convenient file management that makes documentation and storage of vital information a simple and well-organized process. File management applications allow for easy uploading and filing of all attachments, including pictures, PDFs, insurance claims and bills of lading. These files are then available for analytics research in the future. Freight forwarder management software analytics provides high-level and granular reports that boost shipping delivery speeds and identify cost saving opportunities. For example, freight forwarding logistics software provides analytics on on-time delivery, carrier scorecards, carrier metrics and late delivery reports. These analytics indicate how the transportation network functions on a holistic level and points in the direction of areas in need of improvement. To help manage costs, freight forwarder accounting software provides the edge with cost analysis analytics. In the freight forwarding business, pennies count. Small increases in each shipment’s profitability adds up over time. Finding the opportunities to generate these extra profits makes the difference between high profitability and tight margins that threaten cash flow. Using freight forwarding software to its utmost capacity requires segmenting access according to user roles. Today’s software contains such vast amounts of data, and not all of it is relevant to all users. Permissions can be set to allow top-level executives access to the high-level data they need to make mission critical decisions. On the other hand, accounting people need access to financial data, so they can track expenses and revenues. Transportation managers need access to the real time shipping data and must receive software generated distressed shipment alerts. The new wave of technology brings unprecedented opportunities for real time tracking and data aggregation that benefits freight forwarders. Transportation management systems allow for nimble management of complex freight systems. Data analytics identifies opportunities to increase profits and trim costs. With advanced freight forwarder software at their disposal, logistics companies attain new levels of efficiency. CSA Software is a developer of state of the art, Cloud-based software solutions for freight forwarding, transportation management, air freight, ocean freight, and logistics organizations. Contact us today if you would like a Free Demo of our software!